When we consider the spirituality of work, we need to consider the rights and dignity of all workers. In what ways can we support others in their work, so that everyone can have just working conditions? The Gospel story this week is the parable of the tenants, where the landowner's servants and son are murdered by the tenants. This invites us to consider the treatment of workers everywhere. Jesus is present in workers, especially the "least of these." How do we work for God's kingdom and the good of all? 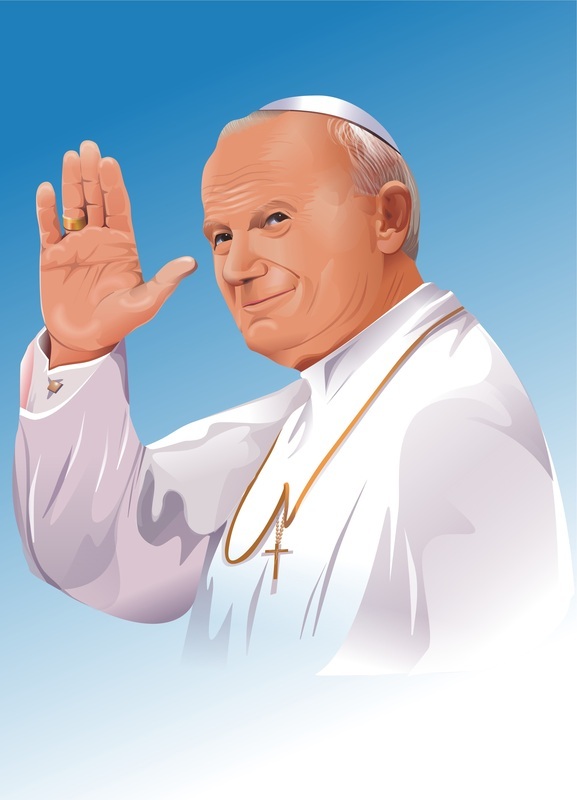 In On Human Work, Pope John Paul II defines the following worker rights: full employment, wages and benefits (enough to support a family), and unionization. He also emphasized rights and dignity of farm workers, disabled works, and those who have to emigrate to work. a living wage? fair pay? "I know very well that work should not alienate and frustrate, but should correspond to people’s higher dignity." Workers are called to pursue justice. In the Catholic tradition, work is not a burden, not just how we make a living. Work is a way of supporting our family, realizing our dignity, promoting the common good, and participating in God's creation. This means often doing the ordinary well, making the most of our talents and opportunities, treating others fairly and with dignity, and working with integrity and creativity. Believers should be encouraged to choose their work based on how they can best use the gifts God has given them. Decisions made at work can make important contributions to an ethic of justice. Catholics have the often difficult responsibility of choosing between competing values in the workplace. This is a measure of holiness. Associations that enable workers, owners or managers to pursue justice often make the witness of the individual more effective. Owners, managers, and investors face important opportunities to seek justice and pursue peace. Ethical responsibility is not just avoiding evil, but doing right, especially for the weak and vulnerable. Decisions about the use of capital have moral implications: Are they creating and preserving quality jobs at living wages? Are they building up community through the goods and services they provide? Do policies and decisions reflect respect for human life and dignity, promote peace and preserve God's creation? While economic returns are important, they should not take precedence over the rights of workers or protection of the environment. Investors should examine ownership, management, and economic decisions in the light of the Catholic call to protect life, defend those who are poor, and seek the common good. These decisions promote human dignity or undermine it. The U.S. organization Interfaith Worker Justice currently focuses on the following worker justice issues, which it sees as the most pressing. All of them have a strong basis in Catholic social teaching. The text is from their website. More than 16,000 workers come into IWJ workers centers for help each year, and 80 percent are victims of wage theft (the illegal underpayment or non-payment of workers' wages). Wage theft happens in every industry, victimizing millions of workers. Our goal is to put an end to wage theft. IWJ is pushing the Department of Labor to issue a Paystubs for All regulation. Corporations like Walmart and McDonalds have standardized poor working conditions, low pay and stifled collective bargaining rights. Our goal is to urge corporations to become leaders in an economy that uplifts the Common Good. The time to reform our broken immigration system is now. More than 11 million undocumented people are living in this country. Without legal status immigrant workers are victims of every kind of labor abuse and cannot protect their rights without fear of deportation. Our goal is to reform America's immigration system with a clear path to citizenship and strong worker protections. All religious traditions affirm that work contributes to the dignity and worth of a person. The goal is an honest wage for an honest days work! Our goal is a federal minimum wage that is also a living wage and indexed inflation so it stays a living wage. More than 40 million workers in this country – and more than 80 percent of low-wage workers – don’t have a single paid sick day. Our goal is to raise core workplace standards for American workers and make paid sick days a standard for all workers. Millions of individuals in the workforce are faced with jobs where they are not guaranteed a safe and healthy work environment. IWJ is working with affiliates to train on health and safety work in the work place, doing outreach and organizing workers and worker-leaders. In other industrialized countries, CEO’s are paid 10 to 25 times more than workers. In the U.S., CEO pay is 400 times the average worker’s wages. That gap is growing. And it is worse where the organized voice of workers has been silenced. Our goal is to protect the right of workers to stick together. Just prior to his assassination, Dr. Martin Luther King was involved in the struggle of the Memphis sanitation workers to unionize and assert their rights as workers. This ten minute documentary tells the story of that strike and includes excerpts from some of Dr. King's speeches about the dignity of work. This article at the Daily Kos recounts Dr. King's involvement in the labor movement. How I wish everyone had decent work! It is essential for human dignity. Not paying a just wage, not providing work, focusing exclusively on the balance books, on financial statements, only looking at making profit. That goes against God! 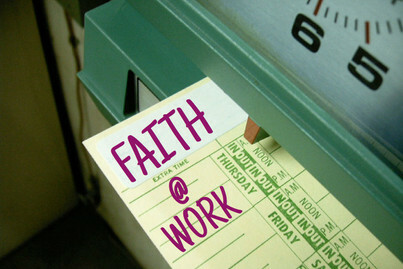 The following faith-based organizations all advocate for social justice in the realm of work. Catholic Labor Network - Providing resources relating the Catholic social teaching to workers and labor. Interfaith Worker Justice - Organizing, educating, and advocating for economic and worker justice in the United States from a faith perspective. Catholic Scholars for Worker Justice - Promoting Catholic Social Teaching on the rights of workers and the indispensable role that unions play in securing justice for workers and their families, in the workplace, and for the universal common good. United States Conference of Catholic Bishops - Labor and Employment - Various documents, letters, and other resources. What can I do this week to support the human dignity of others in their work?